Excellent quality unisex coats in a range of sizes. Ideal for use in food factories, butchers, catering establishments and laboratories. Made from 245gm (7.25oz) polyester cotton, these coats feature concealed front stud fastening and centre back vent. 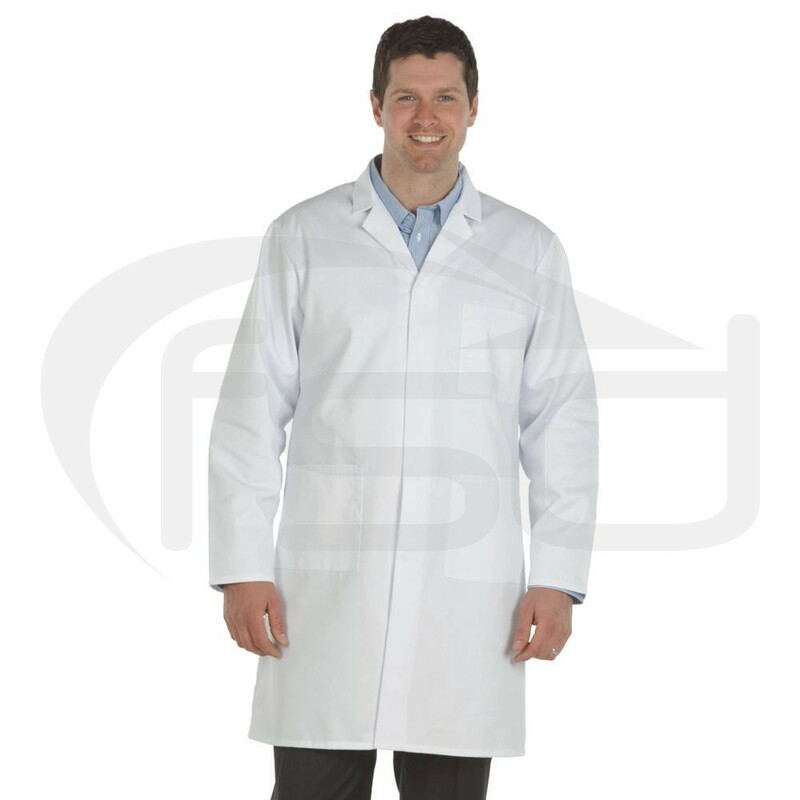 Our "Men's Lab Coats" or hygiene coats are equally suitable for both sexes. However, we do also offer a ladies version of this coat for a more fitted look, as well as an embroidery service. See related products below. These coats are equally perfect for use as a labcoat or as a hygiene coat in catering establishments, delicatessens, butchers, bakeries and food factories. We also sell these coats for use in agricultural shows when showing animals. 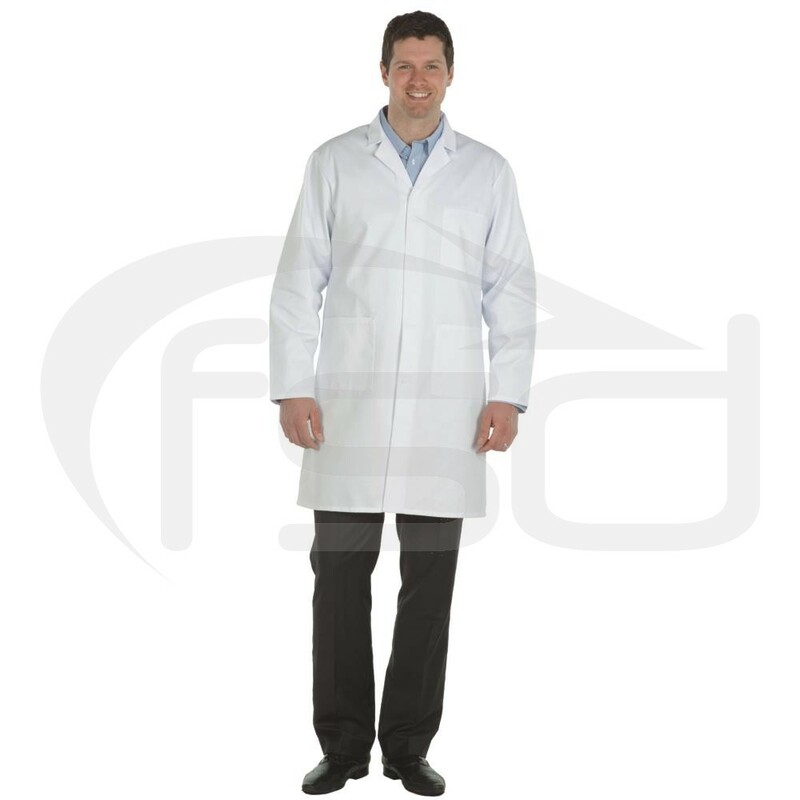 The Lab Coat is made from a high quality, hard wearing 245gm (7.25oz) polyester cotton mix and feature three external pockets, one on the breast and two on the front hip. Both coats have a rear vent and concealed stud, popper-fastenings. As well as embroidery, we can supply laboratory coats in a range of colours manufactured to customer specifications (minimum order applies). Our custom garments are usually subject to around a 4 week lead time depending upon the factory's workload at the time of the order. Please do not hesitate to contact us if you would like further details.